Below is a list of new (and returning) HOLA members who joined between July 1, 2009 and August 31, 2009. (From left to right, top row): Rosie Berrido; Jorge Luis Berríos; (second row): Jivelle Callender; Noemí Castro-Feinstein; (third row): Mariangélica Cuervo; Samuel Gaedke; (fourth row): Antonio García, Jr.; Lubella Gauna; (fifth row): Juan Pedro Jiménez; Alejandro Londoño; (sixth row): Cynthia Navarro; Rich Ramírez; (seventh row): Iracel Rivero; Gil Ron; (eighth row): Romina Sacre; Tom Schubert; (ninth row): Mike Smith Rivera; Loren Suliveres. I. The HOLA Awards are held every year in the autumn (either September or October) and are to be decided by a committee of people either in the Latino theater industry and/or on the HOLA Board of Directors. This committee determines the award recipients of the Latino theater HOLA Awards. The number of people on the committee is to be determined by the HOLA Board of Directors or a quorum thereof. Several of the members of the Awards Committee may repeat their roles in successive seasons, but a percentage of the committee members should change from season to season. The members of the Awards Committee may be determined by the staff of HOLA with input from the HOLA Board of Directors. The theatrical season for the HOLA Awards is from July 1 to June 30. Any production that opens after June 30 is eligible for the following season. The HOLA Awards are given out on a noncompetitive basis; HOLA honors outstanding work and does not give out one award to the "best" of anything in a particular category. II. These are the categories for the top level HOLA Awards. These awards are to be decided by the staff and/or Board of Directors and not necessarily by the Awards Committee. III. These are the categories for the Latino theater HOLA Awards. The above categories marked with an asterisk may be left vacant or have less than two award recipients if there isn’t enough talent to fulfill that respective honor. IV. HOLA Awards are to be given out to 2-4 recipients per category, with the exception of the Outstanding Achievement by an Ensemble Cast and Outstanding Achievement in Technical Production categories, where an entire cast (or two casts) may be awarded honors in the former and anywhere from 2-4 recipients may be awarded in the latter. V. Theater companies whose productions are eligible for HOLA Awards should have their productions in the five boroughs of New York City. Theater companies based in neighboring states (e.g. New Jersey) are only eligible for productions that occur in New York City. The following theater companies are eligible for HOLA Awards. - INTAR/International Arts Relations, Inc. The productions of other theater companies may be considered for HOLA Awards on a case by case basis. Note that workshop productions chosen for HOLA Awards recognition will be declared ineligible if presented as a full production the following season. Full productions that received HOLA Awards recognition are ineligible if the show transfers to a bigger or different location the same or following season. (These rules might be ignored only under extraordinary circumstances.) Any show that has not been done by a theater company in a full season or full year will be considered a revival (the exception being a show that is produced consistently in repertory by a theater company). VIII. The acting, directing and technical achievement awards go to those who work in Latino theater productions. In the case of actors, only actors in the opening night cast of a production may be considered. (Replacement cast members are ineligible.) In the case of technicians/designers, they need not necessarily be Latino. If an actor has shown exemplary work in a non-Latino theater work or a director has shown exemplary work in a non-Latino theater production, either a regular HOLA Award or an HOLA Special Recognition Award (see below) may be presented to him/her. That is to be decided on a case by case basis. IX. Staff members of the Hispanic Organization of Latin Actors (HOLA) are prohibited from receiving HOLA theater awards, except under extremely special circumstances. X. In the event of an artist or theater company exhibiting noteworthy work in a case that may not completely fall within the HOLA Awards criteria, a Special Recognition Award may be presented. No more than four (4) Special Recognition awards should be given on any particular season. XI. The playwriting achievement award go to those playwrights who are living who have written new (or relatively new) plays. XII. Any theater artist whose work may be deemed eligible for a particular season may not be on the Awards Committee that same season. XIII. If a theater company would like HOLA to consider one or more of its works for possible HOLA Awards, that theater company should state so in writing either through a letter or via e-mail. XIV. The HOLA Awards program is a living, breathing thing. Its criteria may be adjusted, modified or amended as the staff and/or Board of Directors of HOLA deem fit. 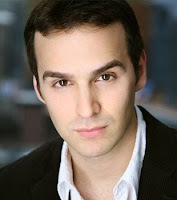 New York, New York – Luis Antonio Ramos, star of the upcoming movie The Ministers (directed by Franc. Reyes) and the hit TV series “The Huntress,” “Early Edition,” “In the House,” “Martin,” and “Roc,” will accept the José Ferrer HOLA Tespis Award at the tenth annual HOLA Awards Gala and Benefit on Monday, October 26, 2009 at 6:30pm at The Players, America’s oldest theatrical club, at 16 Gramercy Park South in Manhattan. The HOLA Awards honor Latino professionals in the entertainment and media industries, as well as hand out award for outstanding work in New York’s Latino theater. The José Ferrer HOLA Tespis Award is given to an actor in midcareer lauding their past work as well as anticipating the great work that is yet to come. Named after legendary actor José Ferrer, the award has been given in the past to Tony nominees Olga Merediz and Raúl Esparza; Kamar de los Reyes and John Ortiz. 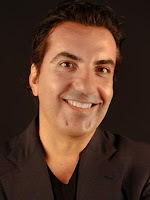 Luis Antonio Ramos is an actor of stage and screen. Born in Puerto Rico, he was raised i n the Bronx. He can be seen in the upcoming film The Ministers opposite John Leguizamo (directed by Franc. Reyes). Other film credits include The Sun and the Moon (opposite the award's namesake, José Ferrer), The Ruins, Checking Out, Imagining Argentina, Out of Sync, Do the Right Thing, Sea of Love, Moscow on the Hudson, The Secret of My Success and The Return of Superfly. 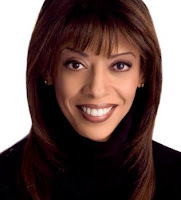 Television credits include recurring roles on “The Huntress,” “Early Edition,” “In the House,” “Martin,” and “Roc;” and guest appearances on “CSI: Crime Scene Investigation,” “CSI: Miami,” “The Shield,” “The Closer,” “NYPD Blue,” “New York Undercover,” “Arli$$,” “Nip/Tuck,” “Friends,” “Law & Order,” “Mad About You," “Alias,” “Strong Medicine” and “The Division.” He was nominated for an Alma Award for best supporting actor for his work in “The Huntress.” In addition, he received the Helen Hayes Award for Best Actor for his performance in the play Stand Up Tragedy. 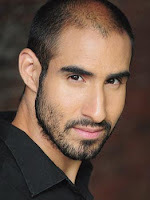 His theater credits include Dancing on her Knees (by Nilo Cruz), Cloud Tectonics (by José Rivera), Romeo and Juliet, Tears Will Tell It All, Widows, Richard II, Henry the IV, Pendragon, The Sound of Music, A Midsummer's Night's Dream and Latins from Manhattan. In addition, he has been the Goodwill Ambassador for The National Puerto Rican Day Parade in New York, the Godfather for The Puerto Rican Day Parade in Los Angeles and the Godfather for the Puerto Rican Day Parade in Cleveland, Ohio. For more information, log on to www.luisantonioramos.net. Also being honored at the 2009 HOLA Awards are Sara Ramírez (TV's "Grey's Anatomy"), Julie Arenal (choreographer of the original Broadway production of Hair); David Álvarez (star of Broadway’s Billy Elliot: The Musical), Ricardo Gómez (star of TV Española’s “Cuéntame cómo pasó”), Pregones Theater (for their 30th anniversary) and Univisión 41 (for 41 years of service to the community) with special recognition awards; and actor/producer Silvia Brito and actor René Sánchez for lifetime achievement. For a complete list of awardees, click here. 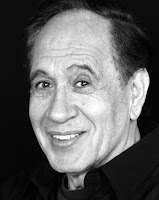 Luis Antonio Ramos, noted film and television actor, will accept the José Ferrer HOLA Tespis Award at the tenth annual HOLA Awards Gala and Benefit on Monday, October 26, 2009 at 6:30pm at The Players, America’s oldest theatrical club, at 16 Gramercy Park South in Manhattan. Tickets for the 2009 HOLA Awards Gala and Benefit are $95 and can be bought through calling HOLA at (212) 253-1015 or online at www.hellohola.org. Recently, a fellow blogger contacted us regarding the HOLA Awards. The blogger requested the criteria for choosing the recipients of the HOLA Awards. 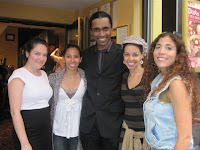 This was around the time of the HOLApanels event at the New York International Latino Film Festival. We were very busy at the time, although we planned on responding. The blogger then started e-mailing several people in the HOLA community, including several 2009 HOLA Award recipients, asking them for help in contacting us. We responded to the blogger (a gentleman we have never heard of before) and asked him to come to the HOLA office so that we could meet each other and he could all the questions he so desired. Instead of replying to our response, he wrote a lengthy blog (which he termed "a thesis"), excoriating HOLA and the awards program. Below is our response. The response is in Spanish as the blogger writes in Spanish. En los correos electrónicos que nos hemos enviado con anterioridad, le expresé el deseo de todos aquí en HOLA de que visitara nuestras oficinas y así podernos conocer personalmente. No hay nada mejor que tratar los asuntos cara a cara, ya que nosotros no le conocemos y usted no nos conocer tampoco. Tal parece que su respuesta es otro blog escrito para sus seguidores, desafortunadamente. Lo que pudo haber sido una oportunidad, como usted dijo, para ayudar a "mover el teatro latino un paso adelante," se convirtió en una oportunidad para lanzar agendas u objetivos personales. Nosotros en HOLA no creemos en el dar premios a lo “mejor” en el teatro, porque esto es algo subjetivo; nosotros otorgamos premios por trabajo sobresaliente. Es por esto que cuando HOLA revivió su programa de premios en 1999 decidimos específicamente adoptar un modelo similar a los Premios Obies (premios presentados a obras de teatro de off-Broadway), donde hay varios ganadores. Los Premios HOLA son una forma de honrar y celebrar a quienes se destacan en nuestra comunidad artística. ¿Son perfectos? No. ¿Existe algún premio que es perfecto? No. HOLA trata de mejorar cada año, pero también somos concientes que donde hay premios (cuando se le rinde honor a una persona y no a la otra), las quejas son inevitables. Me hubiera gustado que usted nos hubiera contactado personalmente y así haberlo conocido un poco mejor. De las personas que conocemos, ninguna de ellas sabe quien es usted y la foto que utiliza en su blog no es una buena representación de su cara. Usted dirigió palabras bastante fuertes hacia nosotros junto a una larga tesis que trata de lanzar sus propios objetivos. Aunque he gastado más tiempo en este tema de lo que normalmente acostumbro, me gustaría añadir que usted debería obtener toda la información antes de decidir reprobar una organización porque sea conveniente para usted y sus seguidores. Ethan Gómez, Mike Smith Rivera, and Juan Villarreal (shown clockwise from top left) have been cast in the new musical No Dogs Allowed! 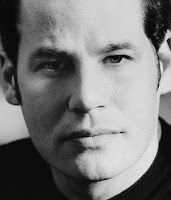 with a book by HOLA Awards recipient Sonia Manzano and lyrics and music by Billy Aronson and Stephen Lawrence, the Atlantic Theater Company production will be directed by Josh Lewis and will take place at the Linda Gross Theater in Manhattan's Chelsea neighborhood. The three actors auditioned for the show after reading about the casting on HOLA's e-mail casting notice system. Ydaiber Orozco is currently shooting the horror film Bloodbath Test, written and directed by Carla Forte and Vicente Forte Sillié (credited as Los Hermanos Forte). Also in the horror genre, Arnold Acevedo is directing his short film Looking For These? Also written by and starring Acevedo, the film is produced by Edwin Pagán and stars Julee Cerda, Silvia Tovar, Cindy Casado and Damaris Cabrera. New York, New York – Renowned dancer, choreographer and director Julie Arenal, who made a name for herself by being the choreographer of the Broadway premiere of the musical Hair, will accept the Raúl Juliá HOLA Founders Award at the tenth annual HOLA Awards Gala and Benefit on Monday, October 26, 2009 at 6:30pm at The Players, America’s oldest theatrical club, at 16 Gramercy Park South in Manhattan. The HOLA Awards honor Latino professionals in the entertainment and media industries, as well as hand out award for outstanding work in New York’s Latino theater. The Raúl Juliá HOLA Founders Award is named after the late Puerto Rican actor Raúl Juliá, and is given to someone in the entertainment industry who has shown one or all of the following characteristics for which Raúl Juliá is much revered: commitment to the community, versatility in his profession, the will to make his artistic vision a reality and the creation of a body of work that has had an impact on our culture. 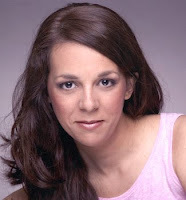 Julie Arenal first became well known when she was selected to choreograph the Broadw ay transfer of the hit musical Hair. Other Broadway credits include Boccacio and Indians. Additional stage choreography credits include Free to Be... You and Me, The Sun Always Shines for the Cool, I Took Panama, Porgy and Bess, Funny Girl, On the Move and Marat/Sade. As a director, her credits include Isabel's a Jezebel, Funny Girl, Dog Lady, On the Move and The City. In film, she has choreographed sequences in Steal Big, Steal Little; Great Expectations (1998); King of the Gypsies; and Once Upon a Time in America. She has worked with Ballet Hispánico, The Public Theater, Puerto Rican Traveling Theater, New York City Opera, INTAR, Alicia Alonso's Ballet Nacional de Cuba, Duchess Theatre (London), Toho Company (Tokyo), and the Spoleto Festival (Italy). Also being honored at the 2009 HOLA Awards are Sara Ramírez ("Grey's Anatomy," Broadway's Monty Python's Spamalot) with the HOLA Ilka Award; David Álvarez (star of Broadway’s Billy Elliot: The Musical), Ricardo Gómez (star of TV Española’s “Cuéntame cómo pasó”), Pregones Theater (for their 30th anniversary) and Univisión 41 (for 41 years of service to the community) with special recognition awards; and actor/producer Silvia Brito and actor René Sánchez for lifetime achievement. For a complete list of awardees, click here. Sara Ramírez, of the hit TV series “Grey’s Anatomy,” will accept the HOLA Ilka Award at the tenth annual HOLA Awards Gala and Benefit on Monday, October 26, 2009 at 6:30pm at The Players, America’s oldest theatrical club, at 16 Gramercy Park South in Manhattan. Tickets for the 2009 HOLA Awards Gala and Benefit are $95 and can be bought through calling HOLA at (212) 253-1015 or online at www.hellohola.org. The Puerto Rican Traveling Theatre, in collaboration with the Society of the Educational Arts, is presenting their 42nd annual summer tour production, a bilingual musical version of Cinderella. Titled Cenicienta/Cinderella, the play was adapted and directed by Manuel A. Morán with music by Morán and Iván Alexander Bautista. 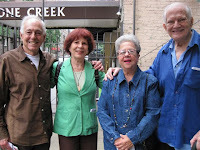 Touring the NYC metropolitan area, the cast includes Blanca Vásquez, Tom Schubert, Lina Sarrello, Jesús E. Martínez, Paola Poucel, Yaremis Félix and Viviana Fusaro. For a complete schedule, click here. Julissa Román and Renzo Ríos will appear in the production Crossings as part of the New York International Fringe Festival (also known as fringeNYC). Written and directed by Amy Sabin Barrow and Shannon Michael, the show is slated for an August run at the Flamboyán Theater located in the Clemente Soto Vélez Cultural and Educational Center (home to HOLA) in the Loisaida section of Manhattan. To buy tickets, click here. A.B. Lugo will be appearing in two productions of the same play: one in English and on Spanish. The productions are called Angels Without Wings/Ángeles sin alas. 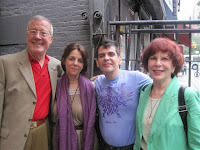 Written by Pam Rea, the plays will take place for a September run at The Producers' Club in the theater district of midtown Manhattan and will be directed by Lina Sarrello (English version) and 2009 HOLA Award recipient José A. Esquea (Spanish version). The shows will alternate between English and Spanish dates with both shows being performed for the weekend performances. 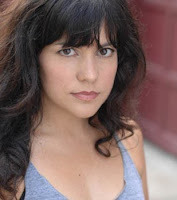 Noemí de la Puente spent the summer performing opposite Carlo Rivieccio and Charles F. Wagner IV in The Complete Works of William Shakespeare (Abridged). Directed by Mary McGinley and Willie Sumner, the Carolinian Shakespeare Festival production took place at the Athens Theater/New Bern Civic Theater in New Bern, North Carolina. New York, New York – Sara Ramírez, of the hit TV series “Grey’s Anatomy,” will accept the HOLA Ilka Award at the tenth annual HOLA Awards Gala and Benefit on Monday, October 26, 2009 at 6:30pm at The Players, America’s oldest theatrical club, at 16 Gramercy Park South in Manhattan. The HOLA Awards honor Latino professionals in the entertainment and media industries, as well as hand out award for outstanding work in New York’s Latino theater. The HOLA Ilka Award is named after HOLA’s founding president, actor, lawyer and activist, Ilka Tanya Payán, and is given out to those performers who give back to society through humanitarian works. Sara Ramírez can be seen as a series regular on ABC’s top-rated television drama “Grey’s Anatomy” reprising her award-winning role as orthopedic surgeon Dr. Callie Torres. Prior to “Grey’s Anatomy,” she won the Tony Award for her role as Lady of the Lake in the Broadway smash-hit Monty Python’s Spamalot. She recently worked with youngsters in narrating Prokofiev's Peter & the Wolf in performances by the San Francisco Symphony Youth Orchestra. Her concerts have included Martinis at the Martin, Sara Ramírez with Hollis Resnik at the Ravinia, Bravo Bernstein (MTW’s 20th Anniversary Gala Concert) at the Hudson Theatre and The Barrington Stage Company Gala to name a few. She has started a liver foundation in memory of her best friend, the late actor Al D. Rodríguez, who passed away from liver cancer in 2008. Please visit www.aldrodriguezliverfoundation.com for more information. 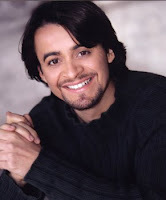 Also being honored at the 2009 HOLA Awards are David Álvarez (star of Broadway’s Billy Elliot: The Musical), Ricardo Gómez (star of TV Española’s “Cuéntame cómo pasó”), Pregones Theater (for their 30th anniversary) and Univisión 41 (for 41 years of service to the community) with special recognition awards; and actor/producer Silvia Brito and actor René Sánchez for lifetime achievement. For a complete list of awardees, click here. HOLA and Screen Actors Guild presented an HOLApanels event titled "The Changing Face of Latinos in Media." Part of the New York International Latino Film Festival (NYILFF), it took place at HBO on Friday, July 31, 2009 at 3pm and featured Dr. Clara E. Rodríguez of Fordham University as moderator with panelists Emilio Delgado (PBS' "Sesame Street"), Rogelio Douglas (Broadway's The Little Mermaid), Adrián Martínez (from the films The Ministers and The Taking of Pelham 123) and Tony Plana (of ABC's "Ugly Betty"). The event was filled to near capacity. Adam Moore, Director of Screen Actors Guild Affirmative Action and Diversity Department, gave opening remarks while HOLA Associate Director A.B. Lugo gave closing remarks. Photos shown here were taken by A Ruiz Photography. The 2009 HOLA Awards will take place on Monday, October 26, 2009 at The Players overlooking Manhattan's Gramercy Park. For a list of the 2009 HOLA awardees, click here. There will be a tapas reception at 6:30pm, followed by the awards reception at 8pm. Tickets are $95 for the HOLA Awards and Benefit and can be bought online here. 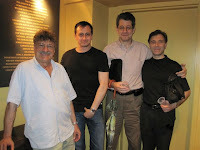 The recipients of the 2009 HOLAawards were announced in a press conference at Repertorio Español in New York on Tuesday, 21 July 2009. The awards ceremony will take place on Monday, October 26, 2009 at The Players, overlooking Manhattan's Gramercy Park. To see the list of awardees, click here. Photo 1: HOLA Administrative Assistant Dahlia Valle Peterson, HOLA event co-announcer Mónica Delgado, HOLA Associate Director/event emcee A.B. Lugo, 2009 HOLA awardee Sunilda Caraballo, HOLA member Emmanuelle Bordas; Photo 2: HOLA Board President Manolo García Oliva, 2009 HOLA awardee Rosie Berrido, Fernando Then, Ana Margarita Martínez-Casado; Photo 3: HOLA Executive Director Manny Alfaro, 2009 HOLA awardee Gerardo Gudiño, HOLA Board Chairman Francisco G. Rivela, HOLA Advisory Board Member Melchor Auñón; Photo 4: 2009 HOLA awardee David Ponce, event announcer/HOLA member Jean-Marc Berne, HOLA member Dominique Pérez, 2009 HOLA awardee Gabriel Gorcés; Photo 5: Ricardo Barber, Ana Margarita Martínez-Casado, 2009 HOLA awardee Silvia Brito, 2009 HOLA awardee René Sánchez. All photos by Facundo del Hoyo. The tenth annual New York International Latino Film Festival (NYILFF) concluded on Sunday, August 2, 2009 and HOLA members were ever present-- at the parties, at the panels and, especially on the screen. In addition, HOLA hosted a panel (with Screen Actors Guild) called The Changing Face of Latinos in Media in the 21st Century that will be highlighted in an upcoming blog entry (complete with photos). 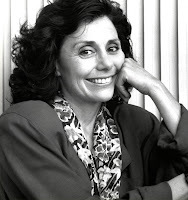 Patricia Carreón acted in Lalo, a short directed by Daniel Maldonado. The short wound up winning the Best Short Award at the festival. 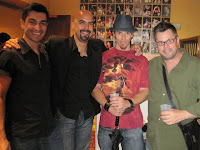 George Ruiz acted in the short film Dead in the Water, a short film directed by Marco Aguilar. Mônica Steuer starred in the short film One Night Stand, directed by Mr. Moe. Moisés Acevedo, Laura Patalano and Teresa Yenque appeared in the Cruz Ángeles film Don't Let Me Drown opposite Raúl Castillo, Ricardo Antonio Chavira, Gina Torres, Selenis Leyva, Adrián Martínez, R.N. Rao and Fidias Reyes. Teresa Yenque also appeared in the Ron Daniels film The War Boys opposite Peter Gallagher and Víctor Rasuk.